Crisis Chronicles Press is thrilled to announce the publication of Thunderclap Amen by Dianne Borsenik on 11 March 2015. 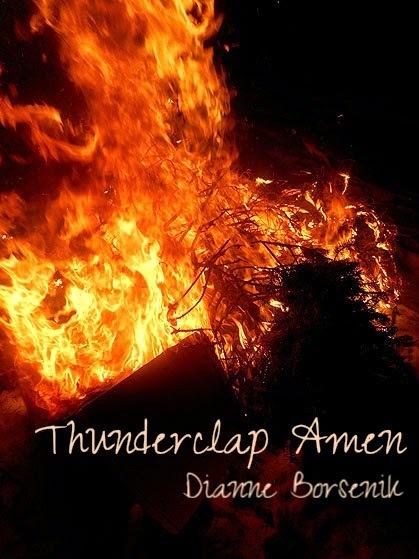 The third release in our NineSense series of loaded nine poem chapbooks by authors whose work you need to know, Thunderclap Amen features 24 pages of fiery work that challenges even the coldest February on record in northern Ohio. As you would expect, Borsenik's blazing poetic tongue triumphs. Get your Thunderclap Amen for only $6.99 from Crisis Chronicles Press, 3431 George Avenue, Parma, Ohio 44134 USA. 8.5 x 5.5", hand bound and saddle stapled. Textured cream card stock cover. Caramel construction endpapers. Ivory parchment pages laser printed recto side only. Poems include "Mother Tongue," "Karma Café," "Let's Get It On," "Polar Vortex," "Happy Hour," "'S No More," "Transcending Gender," "Around the Block" and "Cue Brick, or How I Learned to Stop Loving the Bomb and Start Worrying." Print run: 99 copies. ISBN: 978-1-940996-17-2. 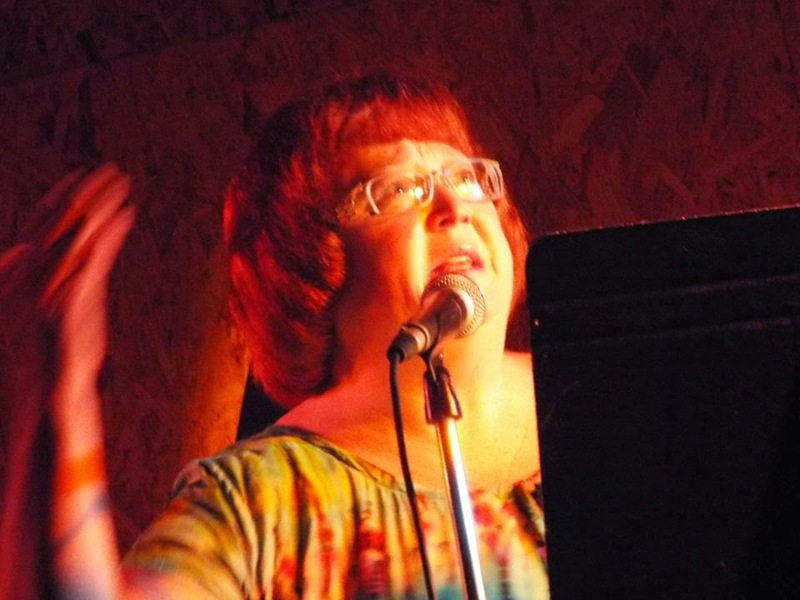 Dianne Borsenik is active in the Cleveland, OH poetry scene and regional reading circuit. Her work has been widely published in journals and anthologies, including Rosebud, Slipstream, Lilliput Review, Pudding Magazine, and Modern Haiku. She won first place in both the 2013 and 2014 Best Cleveland Poem Competitions. As editor of NightBallet Press, she has published over 70 books for poets across the US. Borsenik lives in Elyria with her husband James and dogsons Angelo and Bodhisattava. 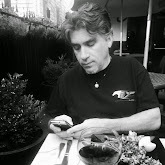 The author will give her debut reading/performance from Thunderclap Amen on 7 April 2015 at 6:30 p.m. during Words & Wine at Your Vine or Mine in Painesville, Ohio.